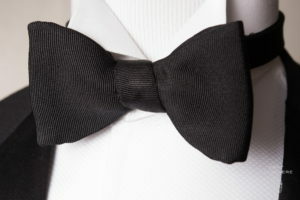 When one receives an invitation with the words ‘black tie’, it would typically means that this party is fancy and men should wear more formally. While it’s important to understand which attire should definitely be appropriate, there is a more knowledge on how you can stand out from the norm. First of all let’s understand what are dinner jackets and why you can replace your tuxedo with them. 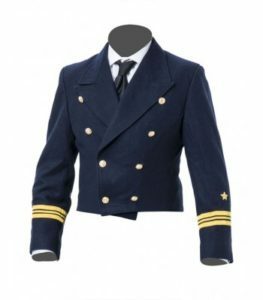 These jackets can be of a matching or contrasting colour worn with a matching bow tie, they can be either single-breasted or double-breasted. Their lapels vary but the more formal ones usually have a shawl collar. The notched lapels are slightly informal and should not be worn to a formal event. They usually have 2 buttons and no vents for a slim look, jetted pockets instead of flap pockets as jetted pockets give a more elegant look than flap pockets. They are usually of different colours, patterns and textures which will help you to stand out from the crowd, look professional and suave. It is preferred that it is not black or midnight blue as you might as well wear a tuxedo if that is the case. 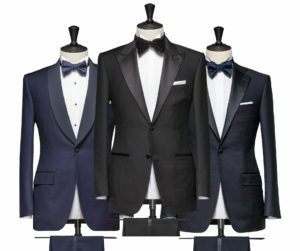 Dinner jackets look similar to the common blazer and can often be mistaken as one in a black tie event. The difference is that blazers are worn for casual events while dinner jackets are worn for formal events. Blazers can be worn with an open-neck polo shirt or a simple shirt and is usually embedded with metal buttons on the sleeves. It is also commonly worn with a tie. Dinner jackets are formal and usually have cloth buttons on the sleeves. 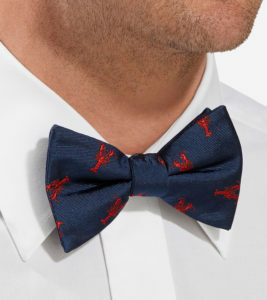 It is usually worn with a bowtie. 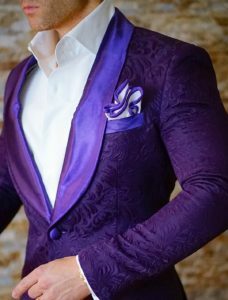 Dinner jackets can be made in velvet and brocade for colder climates but for warmer climates such as Singapore, it is often made out of tropical, worsted wool, linen blend or a silk blend. These materials are lightweight and airy giving the wearer breathability in the hot climates. However do take note that these jackets often do not have a lining due to the warmth and can be see-through. If it is see-through, it is recommended not to buy that jacket as it is of poor quality and would not look good on the wearer. 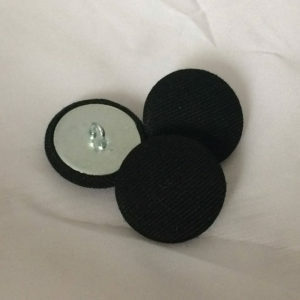 Recommended buttons on the jacket would be mother of pearl buttons as they have a very nice sheen or cloth covered buttons as they are more formal in a black tie event than regular buttons. 1) Dinner jackets can be of a variety of colours, from burgundy to green, to light blue, any colour is possible as long as the wearer is happy with it. It can also have different patterns on them to give the wearer a more striking look. However the colour and pattern of the fabric used is based more on the wearer’s body shape and skin colour. For example a person that has pale skin would get a colour that is contrasting to his tone. Colours such as olive green or burgundy suit pale skin tones while colours like beige and red should be avoided. 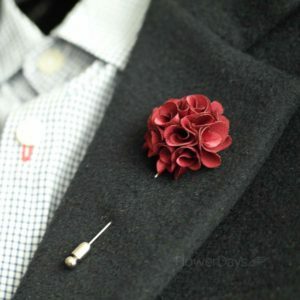 2) Accessories to go with the jacket would be a button hole on the shawl collar so as to add a boutonniere to the look. As well as a pocket square of a contrasting colour to the jacket. 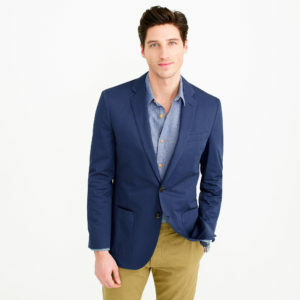 It is recommended that the colour of pants be black or midnight blue so as to keep the spotlight on the jacket. For socks, black silk socks that cover the calf and for shoes opera pumps in patent leather or capless black oxfords would match nicely with dinner jackets. 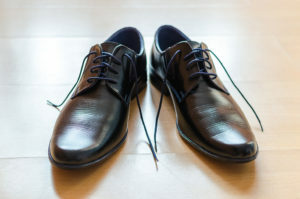 Evening shoelaces could be added to oxfords to match with the bow tie. Some men do wear albert slippers with these jackets however it is not recommended as it is too casual for public formal events. 3) Since the lapel of the jacket isn’t faced, the textures of the bow tie can be experimented with. A wide ribbed grosgrain, barathea, satin or moire bowtie would do the trick depending on the wearer’s preference. Where to buy dinner jackets? Off-the-rack clothing brands such as Zara and H&M do sell black tie dinner jackets where one can get them at an affordable price however the designs are limited and depend on season. The size and cutting of the jacket may not be suitable for every individual as everyone has a different body shape. One may get an off-the rack piece but it doesn’t flatter the body as the cutting is made for the general body shape. 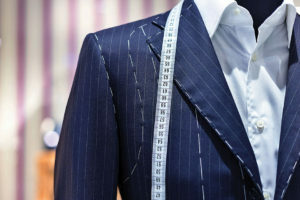 Another way to buy them would be from bespoke tailors in Singapore such as ourselves Amos Marcus who make bespoke suits and jackets with a fashionable and stylish twist, making them unique to the individual. It is slightly more expensive than off-the-rack dinner jackets but the investment is worth it. Not only does it fit nicely, you can use it for long periods of time because you will be able to pick the materials and ensure the quality of the jacket. It is also unique to you and it is guaranteed that no one at the event will have the exact same jacket.